campaign, supported by thousands of people, who are outraged at the number of children that have been victims of attacks in Syria. 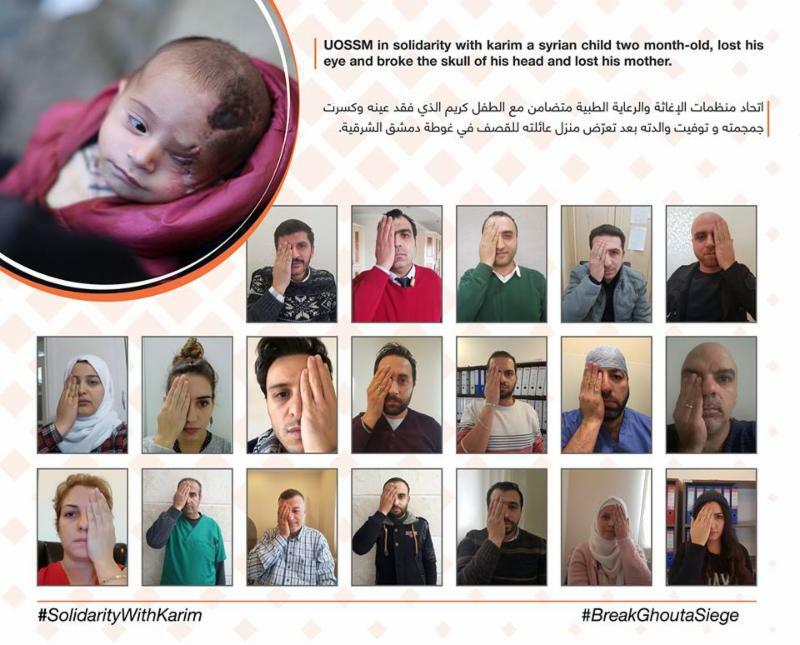 Campaign participants are asked to cover their left eye, take a selfie and post on social media, using the hashtag, in solidarity with Karim. 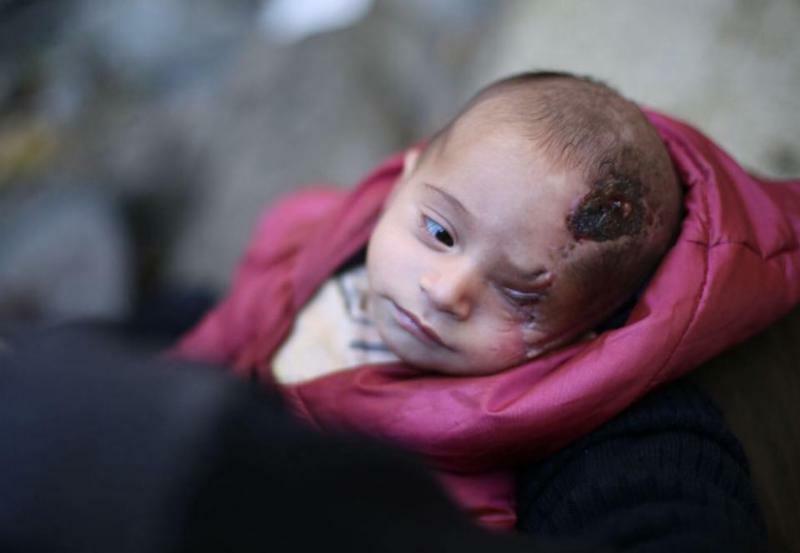 The two-month-old, Karim Abdel Rahman, lost his left eye on October 29, 2017, when he and his mother came under an artillery attack in a popular market in Hammuriah, Eastern Ghouta. Karim’s mother was killed in that attack, and Karim sustained severe injuries to his skull, in addition to the loss of his eye. The recent escalation of the siege in Eastern Ghouta has taken a disturbing toll on the civilian population of approximately 400,000. At least 500 patients are in desperate need of evacuation with life-threatening conditions. The number of deaths from preventable disease has increased significantly. The humanitarian catastrophe is compounded by food aid and medical supply lines being cut off for months. Starvation is rampant and doctors are out of medicine, supplies, and equipment. 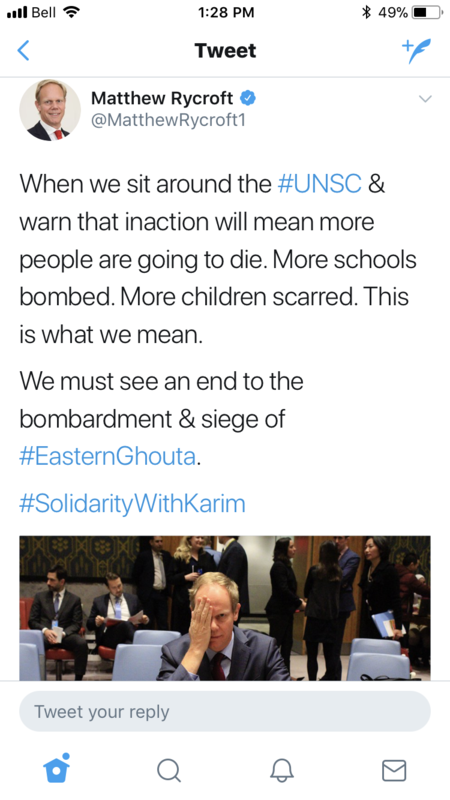 Dr. Ghanem Tayara, Chairman of UOSSM International said, "The horrors faced by the children of Ghouta are unimaginable. Karim's story is just one of many that could have been prevented. He will have to suffer with this affliction his whole life. The international community should be ashamed that this is allowed to happen with impunity. It must stop now!" 1) The immediate evacuation of critically ill children in Eastern Ghouta. 2) Impartial and safe humanitarian access to deliver food and medical aid to Eastern Ghouta through humanitarian corridors. 3) The medical evacuation for nearly 500 critically ill patients in Eastern Ghouta. 4) The protection of civilians in Eastern Ghouta under International Humanitarian Law and and an immediate end to the siege on civilians.